It's that time of the year when the temperatures have taken a plunge, and continue to with each passing day. While the majority of us have resorted to winter woollies to beat the chill, there are some who don't let the cold winds faze them. Case in point: that friend who continues to rock chic dresses teamed with boots. 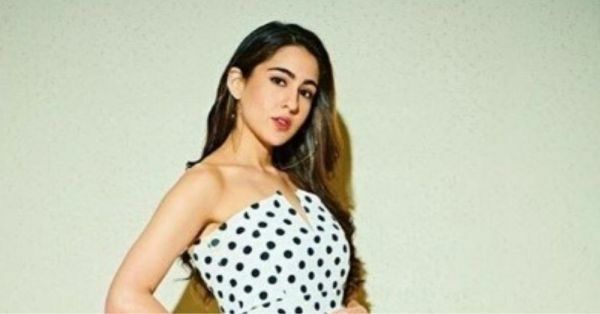 Your friend, however, may not be the only one at it for Sara Ali Khan gave us some major summer vibes in a polka dot dress. Take a look for yourselves! In a dress fit for summer (it helps that the actress lives in Mumbai- the 'not-so-cold' city), Sara Ali Khan stepped out looking like a million bucks, giving us daydreams of tropical weather. Dear winter, can you go home already, please? Speaking of the outfit, Sara kept it unbelievably elegant in the black and white polka dot dress which came with pretty flounces at the hem. In addition to the tube element, that snip in the middle was equal parts striking and sophisticated. Teaming her look with black peep-toes, her stylist Tanya Ghavri stuck to the monochrome colour scheme throughout the look. 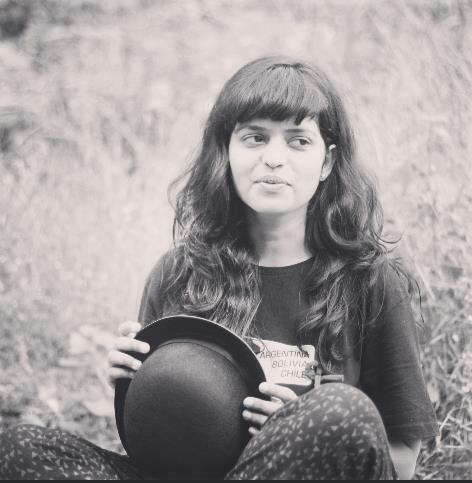 Take a closer look at her accessories and nail art and you will see how. Since no outfit is truly complete with the relevant accessories, there were super stylish metallic hoops in the shape of a heart and a lone ring in a quirky design of a red lip pout to round off the look. Lest you miss it, Sara's fingernails too, were in sync with her outfit, with each alternate nail done up, you guessed it right, in black and white. This girl is all about attention to detail! If you are lucky enough to be living in relatively hotter zones, ace the look à la Sara Ali Khan, while the rest of us wait for the #SweaterWeather to end ASAP.